I can’t believe it has been just over one year since Meaghan and I dreamed up Larkspur. Obviously a lot has changed since that day, both for Larkspur, and for myself. 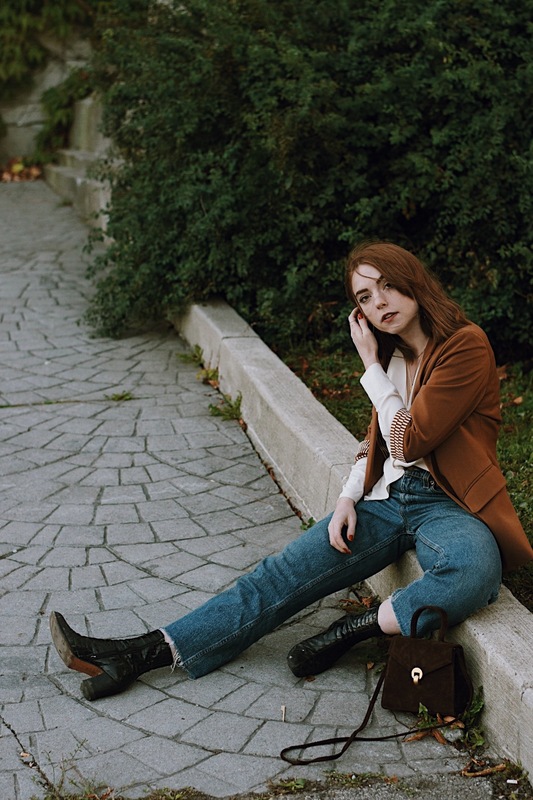 I wanted to share a number of outfit posts I have done throughout this year, taken by Meaghan, Matt, and myself. It’s strange not only to see how my style has sort of evolved (but sort of stayed the same), but also the way I like to share the things I wear (also I really like to touch my head and face apparently). I felt pretty nostalgic looking back on these photographs, more so than I had expected. I have so many tangible memories because of this blog. I remember each of these moments…the weather, the people I was with, the way I felt. It’s beautiful really, to have something I can look back on and relive such wonderful moments. 2013 will always hold a dear place in my heart…afterall, I had such lovely people to share it with. However, I am looking forward to this new year. With a few life changes that have come my way, I really do feel like I am starting a new chapter in this silly life of mine. I’m hoping Larkspur will only continue to grow, I can continue to share parts of my life with you, and work towards my goal of having my own brick and mortar shop one day. So cheers my dear friends! Ever upward!